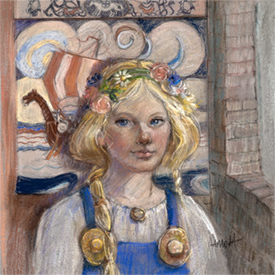 An actual portrait Sharon did of her Auntie Verna wearing her Bunad as a young lady. 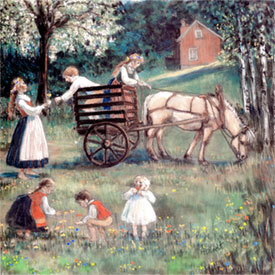 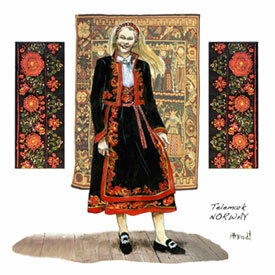 The Telemark Bunad is quite distinctive and this is an amazing watercolor of it. 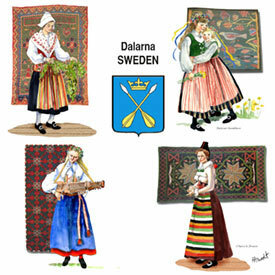 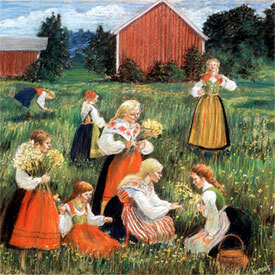 Be the first to review “Telemark Lady Tile” Click here to cancel reply.